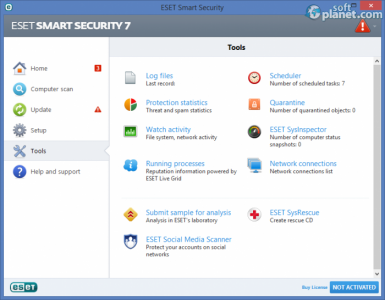 SoftPlanet makes it possible for everyone to get free ESET Smart Security download directly from our servers. There is no registration needed for downloading. ESET Smart Security has already proven its name in the field of antivirus software solutions. The latest version (7.0.317.4) of the application doesn't make any difference. It comes with a 30-day trial period and is armed to the teeth with a complete anti-malware outfit. 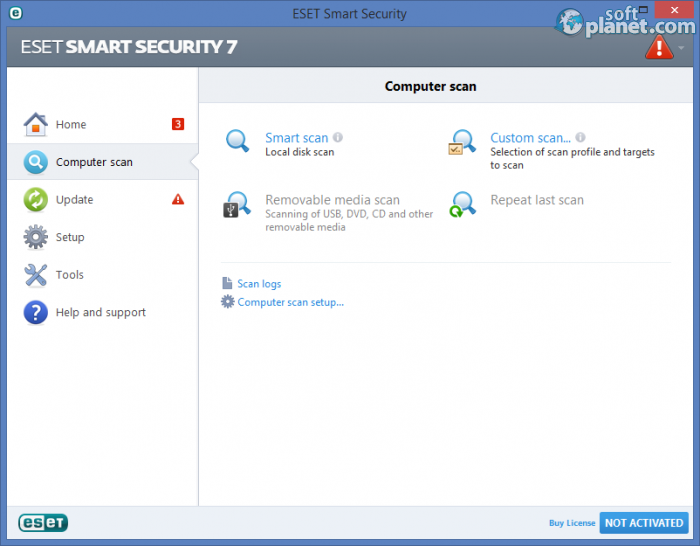 The Smart scan is the first ESET Smart Security tool. As you may suggest it is a bit more efficient than the ordinary scan process. Malware has changed with time, so threats don't always enter our systems in the way we expect. Therefore ESET Smart Security analyzes SSL-encrypted communication channels like HTTPS and POP3S, and intelligently scans compressed files to find threats that other products miss. However attacks can enter our systems through USB thumb drives. The team of ESET has really thought about everything, so it scans the autorun.inf and associate files too. It is not enough to have active security only. ESET Smart Security comes with a functionality called Self Defense, which is a built-in technology designed to prevent malicious software from corrupting or disabling it, so you can rest assured your system is always protected. The guys from ESET always try to combine maximum functionality with a simple, clean interface. 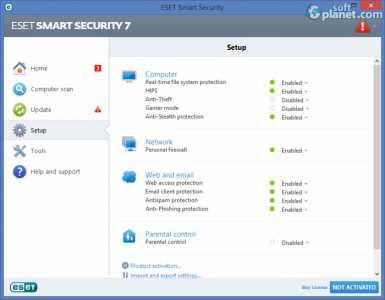 ESET Smart Security has a very clean and classy design. However, it is still very intuitive and user-friendly. Every feature is placed just right where it should be. 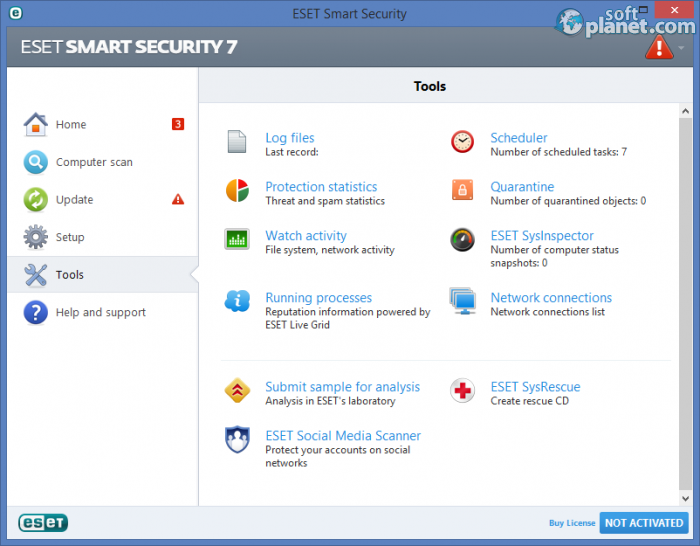 The team at ESET has tried its best to make the interface as optimized as possible. In my opinion, they have succeeded. It will take you not more than a couple of mouse-clicks to reach whatever you need. The color scheme is very well selected and gives an impression of a secure and peaceful environment. ESET Smart Security 7.0.317.4 is not designed for a particular user group, which is awesome. It is appropriate for both novices and experts. If you are not very good with technologies, you can rely on its active and passive protection. However in the meantime, it gives advanced users the ability to perform some complex adjustments in order to match their requirements. But like I mentioned above, it's not necessary to be an expert in order to secure your system. The next thing you will mention is the better performance than its rivals. It consumes less system resources than more of the antivirus solutions available today. 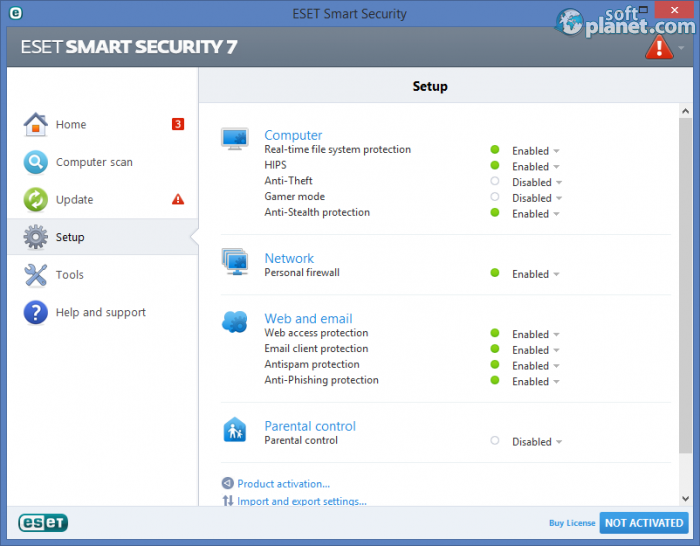 ESET Smart Security is probably the ultimate solution for your system protection. It provides you with multi-level security and lower system resources consumption simultaneously. You can try it for free. The trial period is 30 days, long enough to notice its big advantages. ESET Smart Security is VIRUS-FREE! Our security scan shows that ESET Smart Security is clean from viruses. The current version of ESET Smart Security has been scanned by our system, which contains 46 different anti-virus algorithms. 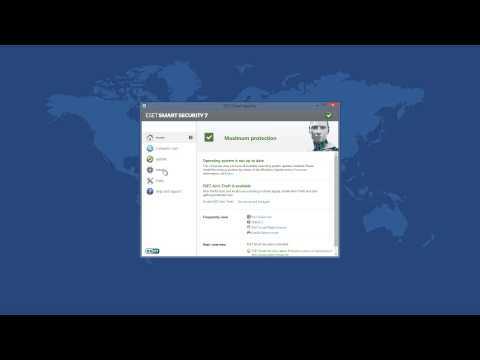 That ensures that ESET Smart Security 9.0.349.14 is 100% safe for your computer.